Are you one of those people who carry around a tube or bottle of hand sanitizer in your purse? Always applying it to your hands every chance you get? With Prefense, all you need is ONE application daily! Prefense is also ALCOHOL-FREE. That’s right! ALCOHOL-FREE! I loved reviewing this product! Although I’m not an avid hand sanitizer fan, this has changed my mind as to what hand sanitizer can AND should be! The main reason why I don’t like hand sanitizer is because of the feeling it leaves behind on my hands. I hate my hands being wet and greasy. I want something that dries quickly and efficiently. 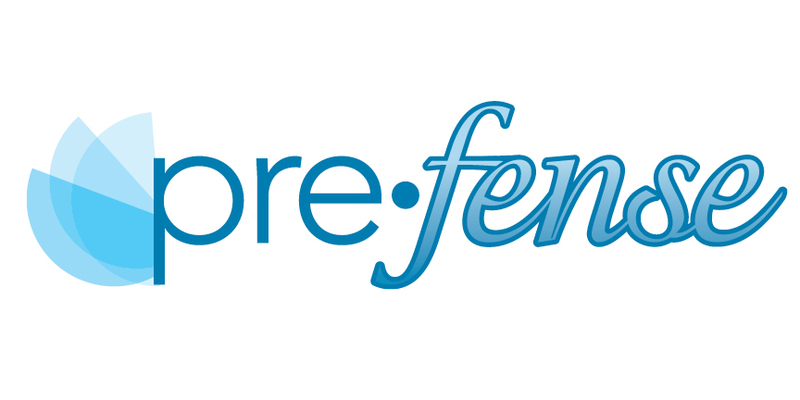 Prefense does JUST that…and more! “Prefense is a revolutionary new product that protects you and your family from germs with just one application daily. Finally, you can feel safe and reassured that you are protected throughout the day from the transfer of germs with Prefense. Prefense is a completely unique, alcohol free, moisturizing hand sanitizer that offers proactive security for you and your family. The Prefense mission is to provide you a defense in advance from the transfer of germs that can make you sick, while leaving your hands moisturized. Rest easy knowing Prefense will safeguard you in today’s world of germs. Prefense’s active ingredient dries into an invisible, protective film that stands guard against pathogens you encounter throughout the day. If a transfer of germs occurs while Prefense is on defense, it actively slices the cell wall of pathogens you confront for up to 10 hand washings, whether wet or dry. Our patented formula containing silica complex will soothe and moisturize your skin throughout the day. Move up to the new generation of hand sanitizers. Use moisturizing, alcohol-free Prefense every day to keep germs away. “Safely protect your hands with Prefense. 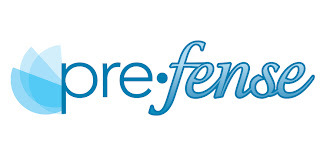 Prefense is a unique, revolutionary new method of promoting and protecting the health of adults and children. Unlike other hand sanitizers on the market, Prefense is the only product that offers protection for up to 10 hand washings after one application, without the drying, redness, chapping and flaking effects of alcohol. Prefense’s patented formula contains a silica complex that produces a protective, invisible, moisturizing barrier that will not easily wash off. Wet or dry, this shield of protection defends you and your family from the transfer of germs for up to 10 hand washings without reapplication. Prefense goes one step fruther than other anti-bacterial products by slicing the cell wall of bacteria so germs are destroyed on contact. Proactively and persistently offers protection from germs for up to 10 hand washings without reapplication. Patented formula adheres to skin forming a proactive antibacterial barrier, wet or dry. Contains moisturizing Silica Complex with soothing organic botanicals to prevent drying, redness and chapping. Patented formula is safe for kids. Provides safe, unsurpassed antibacterial protection for hands by promoting and protecting the health of adults and children. Tested against strains of Staphylococcus aureus including drug resistant MRSA strains. Stops skin to skin transfer of germs. Regular application provides continual antibacterial protection. Colorless product is invisible on application and will not stain skin or clothing. Water based product is non-flammable. One lucky reader will win one 8oz bottle of Prefense hand sanitizer. This equals to 640 applications! Leave a comment letting me know you want to win! (+2) – “Like” Prefense on Facebook. (+2) – Follow my blog via Google Friend Connect. (+2) – Follow Beautifully BellaFaith on Twitter. (+2) – Follow my blog via Networked Blogs. (+4) – Subscribe to my blog via e-mail. (+3) – Vote for my blog on Picket Fence Blogs. You can do this daily! GIVEAWAY ENDS MAY 14TH AT 11:59PM (CENTRAL TIME). The winner will be chosen at random.org. I will e-mail the winner, and they will have 48 hours to claim their prize. Hello! Hopped over here and am following you. Come follow me? Thanks for stopping by my blog. Wish I could join in your give-a-way. I'd like to win. Thanks for the chance. I found it through email.